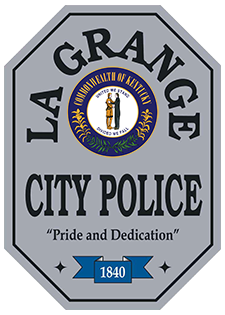 The LaGrange Police Department has launched a Body Worn Camera (BWC) program which completed the first week of full operation on February 22, 2016. Thanks to grants from the Peyton Samuel Head Family Trust and the American Police and Sheriffs Association, the Department has purchased and deployed 14 Pro-Vision Bodycam BWC’s to all LaGrange Police Department Officers, Detectives, and Commanders. The LaGrange Police Department's use of BWC video technology will provide value in enhancing Officer safety and training, reduction of liability, assistance with prosecution and case resolution, further promote professionalism and accountability for the Officers, and reduce citizen complaints. A study sponsored by the International Association of Chiefs of Police indicated over 90 percent of Police misconduct allegations, in which video is available, resulted in the Officer's exoneration. The study also reflected approximately 50 percent of complaints are immediately withdrawn when video evidence is used. While we believe that the use of these cameras will significantly benefit both our community and our Officers, we know that no technology is a perfect answer to all situations. BWC’s have limitations, however we believe that in the end, our community and the Officers who work to improve the quality of life here, will benefit from their use.